Sandra-Mae has had a keen interest in music since early childhood. She started talking and singing at the same time! At the age of six, she started playing the piano, and at age of eleven she took up the saxophone while still in elementary school. After graduating high school with honours, Sandra-Mae achieved a Bachelor of Music in Jazz Studies on Saxohone with a Minor in Education from Capilano University in 2011. Sandra-Mae has received multiple awards such as Outstanding Achievement in Music five years in a row (2001 -2006) and the Phil Nimmons Scholarship for Outstanding Achievement in Jazz in 2006. Sandra-Mae was one of 18 students in all of Canada under the age of 24 to be invited to perform at the Ottawa International Jazz Festival, two years in a row. During her time there, she met and performed with many internationally recognized artists such as Joe Lovano, Roy Hargrove, Herbie Hancock, Joshua Redman, Medeski, Martin & Wood, Christian McBride and opened for Dave Brubeck. 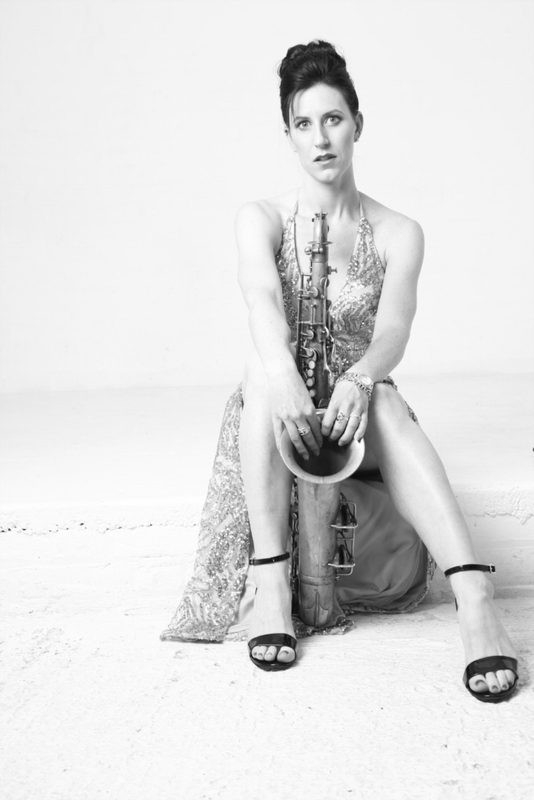 A talented singer and multi-instrumentalist, Sandra-Mae plays saxophone (soprano, alto, tenor and baritone saxophone), guitar, piano, percussion and has performed around the world in places like London, Amsterdam, New York, Brazil and in some of Vancouver's most prestigious venues including The Orpheum Theatre. While trained as a jazz-specialist, Sandra-Mae's vocal and instrumental versatility extends to pop, R&B and her true love: 1970's Soul Music! She draws inspiration from such legends as Etta James, Donny Hathaway, Aretha Franklin, Astrud Gilberto, and more modern influences such as Norah Jones, Amy Winehouse and Mariah Carey. She was also a member of the British Columbia Honour Jazz Ensemble for two years in a row, acquiring jazz scholarships while performing in this ensemble. Now living in London (UK), Sandra-Mae was a regular on the Vancouver music scene. She has played almost every venue in Vancouver (including the Vanacouver International Jazz Festival) with her own groups performing jazz, pop, soul, R&B, folk, disco, Motown, funk and Brazilian music. She was in the house band for Vancouver's Backstage Lounge for five years playing baritone saxophone in the Funk/Soul/Motown band The Phonix. Sandra-Mae has grown into an accomplished composer in her own right, becoming a regional finalist in CBC's Searchlight Competition with her original song titled "Finally, I Believe in Your Love." She is also an accomplished Pop/EDM/Dance writer (co-writing with writer/producer Davor Vulama), having had their songs cut by worldwide artists. Sandra-Mae is currently writing a musical with Alan Marriott. Sandra-Mae ran a regular Jazz Night at the London Improv Theatre in North London, and performs regularly at many venues in and around London. Check out her “Upcoming Shows” page for information about where and when she is next performing. Sandra-Mae is currently working on her first original full-length studio album that will be released at the end of 2019. After having acted in a critically acclaimed two-handed production of David Sedaris's "The SantaLand Diaries" (where she played 27 different characters), Sandra-Mae performed in two month-long acts at the 2017 Edinburgh Fringe Festival, both of which were very well received by audiences and critics. Together with Alan Marriott and Bill Allman, she wrote and performed in a musical/comedy cabaret double act titled "Beauty & The Beast: An Improbable Love Story" performing alongside veteran performer Alan Marriott. It featured her multifaceted musical and comedic talent, along with some improv. Sandra-Mae also played saxophone for the 2017 Edinburgh production of Will Shakespeare's Impro Musical. Having spent all her life in recording studios and behind microphones, Sandra-Mae feels completely at home in a studio, and is a talented voice over artist having voiced for worldwide ESL programs, Audible (under director Dirk Maggs), and has been an a BBC Radio Production. She has spent the last 18 months studying voice over with VO veterans Nicole Oliver (My Little Pony) and Alan Marriott (former Department Head of the Comedy Conservatory Program of School Creative in Vancouver). For 9 months, Sandra-Mae was the improv piano for the weekly improv show Slattery Night Fever featuring the legendary Tony Slattery of Whose Line Is It Anyway and many other luminaries of British improv. She is now the performing improv and playing improv piano for the monthly show Colour House Improv with Alan Marriott and Friends in South London. "It's really not fair. Sandra-Mae has a voice with the purity of a singing angel that can suddenly change into the grating of a chain-smoking whiskey-drinker; she plays the sax like a good old boy; she directs her band with calm aplomb; she has the charm of a Hollywood star and the stage presence of an old trooper; and she looks like a million dollars. One or two of these gifts would be fine. But having them all seems to me a tad greedy. But it all makes for a star who I'm sure will get even brighter..."
"Local vocalist/saxophonist Sandra-Mae Luykx is the full package! Her sultry voice and bold saxophone leads her quartet through standards, jazzified pop tunes, and influences ranging from Amy Winehouse and Ella Fitzgerald, to Dexter Gordon." "Sandra-Mae is amazingly talented, we need to see more of her." "Her voice has texture and swagger"
Sandra-Mae is what we've been waiting for"
Copyright © 2008-2017 Sandra-Mae Luykx. All rights reserved.